Fiona’s goal is to provide you with the most relaxing, highest quality photography experience possible. Fiona Johnson is a full service photographer and is happy to help you in planning you wall displays and custom photography investment. 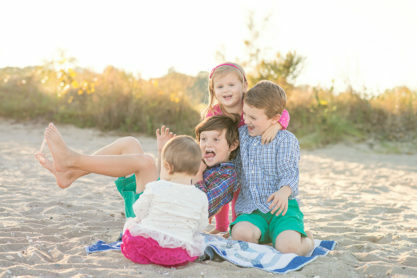 Through each of her own children she has learned the value and importance of great photography and preserving precious memories. Whatever your session type, Fiona puts her heart and soul into it, from planning your session all the way through until you are enjoying your custom portraits each and every day on the walls in your home and in your custom photo products. Please see below to choose your photography session type for more information. Session Fees include pre-session consultations, planning and photographing your session, and meticulous, custom editing of your gallery images. No prints, products or digital files are included with your session and may be purchased a la cart or in a custom collection. For more information or to book your session, please contact Fiona. Capture a moment or phase in your family's life to look back on forever. Children are forever growing and changing and your family life is constantly evolving. Freeze a moment to keep forever. A signature session is an hour long at a location of your choice. An hour provides enough time for your children to relax and be themselves, providing true and real moments. Ah, sweet beginnings! The newborn stage flashes by in the blink of an eye. Be sure to capture this phase so you always remember how tiny and fresh your sweet baby once was. 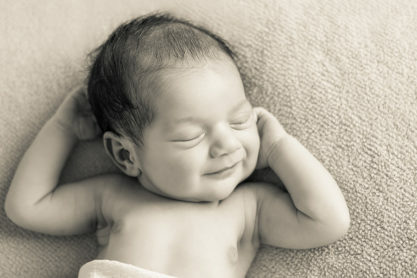 A newborn session is done in the comfort of your own home and is approximately 2-3 hours long, which allows enough time for feeding, changing, and of course, cuddling. A Fresh 48 Hospital Session is done during your hospital stay after delivering your new little bundle. It's your 1st time seeing this precious newborn you have waited so long for. It is a brief time in a woman’s life. The miraculous journey of creating, growing, and carrying a whole new life within. It is a fascinating and momentous time in a woman’s life. Investing in beautiful imagery of these moments is worth every penny! You will never look back and regret it! The 1st year of a baby's life brings with it tremendous growth and change. Each step is unique and fast. Baby Basics sessions are designed to capture the milestones in a baby's first year of life. These are short, 20 minute session and are best done at 4 months, 8 months and 1 year old. The cake smash session...a fun and trending way to mark your little one's 1st birthday. It is an exciting day, and an important milestone in a child's life. It is a celebration to conclude the first year of their precious life. Choose your theme, choose your colors, and choose your set decorations to customize your cake smash session just for your little one. It is the time in a child's life when they are teetering on the edge of becoming a "grown up." They are finding themselves, experiencing new feelings, and transforming into their "adult" selves. This is the culmination of their childhood years, and the beginning of a whole new world. It is a life-changing time in this journey called life. There is just something about the profile of a young child. The little nose, the adorable lips, the cute baby hair, and of course, the adorable big head to small body ratio. Preserve their childhood profile for a timeless unique and artistic portrait to display in your home for a lifetime. Get creative, get colorful, just get silhouetting. High School Senior Sessions are no longer the boring headshot on a backdrop they used to be. Get out there and enjoy a full session customized specifically for you. You choose the location, bring a few outfits, and make it yours. It is a momentous time in life that marks the end of one journey and the beginning of a new one. Give it the attention it deserves. Although engagement sessions are complimentary with wedding collections, you can also book your engagement session separately, because sometimes you just can't wait! Announce your love to the world, and start your newly forming family's portrait collection the right way! It is one of the most memorable days in your life...the day you unite with your soul mate...the first day of your life as husband and wife. You will want to remember every little detail, and to relive the emotion of the day over and over again, which is why great photography is so important! Events include Bar Mitzvah's, Bat Mitzvah's, Parties, Christenings, First Holy Communions, Vow Renewals, and just about anything else that fits. Call for a quote. Product Photography is unique to each project. Whether it is a product on solid background or a staged scene, Fiona Johnson Photography puts care into the detail of each shot. Sessions may be customized to suit your needs. Please contact Fiona to discuss your photography session and create a plan designed to bring beautiful portraiture into your home. All sessions are subject to 6.35% CT sales tax. Prices are subject to change at any time. Prices include the session only, unless otherwise specified. Prints, products and digital files may be purchased a la carte or as part of a collection. Collections offer the best value and are the most popular option. Product offerings and collections include professional archival quality prints, canvas gallery wraps, storyboard collage prints, layflat custom designed photo albums, greeting cards, digital files and more. Lynna - I was wondering if you do birth photography and have prices for it. Thanks! Robin Davidson - Hello, I was wondering if you were accepting new clients for newborn photos? My daughter, Eve, is 5 days old Nd we live in Bolton, ct.
Taryn - Hi Fiona! We are expecting our first baby at the end of January and I’m trying to plan ahead and research newborn photographers! I was just wondering what the $325 newborn session included or if that was just for your time? Do you offer the rights to the edited photos? Also, we live in Quaker Hill. Is that somewhere you would travel to? Heidi Davies - Are you available for our wedding on June 25, 2016 in Hamden, CT? Would love to talk with you about our vision. Jodie Greenwood - I am inquiring about a newborn session. I am interested in learning what your pricing packages are for newborns, specifically with twins. Emily Gallagher - Hi there! My husband and I are expecting our first, a little girl, July 9. We are very interested in receiving more information on your newborn services via email. We are located in Waterford, CT. Is this within your range?